When I first walked into the Bass Performance Hall in Fort Worth, I immediately felt the energy of the crowd. There were adults dressed in tuxedos and costumes alike, and kids pulling their parents by the arms, trying to hurry and get some Pokémon swag before the show started. The excitement was palpable as I took my seat, and I happily joined the audience in a giant game of “Who’s That Pokémon?” via the screen above the orchestra — and the orchestra was having a blast too as they prepped for the show! A tuba was playing Jabba the Hut’s theme from Star Wars, and a violinist on the front row was wearing a Pikachu hat (which she left on for the entirety of the show). The show hadn’t even started, and it was already an event. Do you know which Pokémon it is? But then the lights dimmed and the show started and after two hours (including a nice intermission), I left with a giant grin on my face that just wouldn’t go away. When you think “Pokémon,” you probably don’t think of orchestrated music — let alone a symphony show! But the care and attention Princeton Entertainment put into this production is astounding. Jeron Moore, Lead Creative for the show, was actually there for that night’s performance, and gave a passionate introduction. 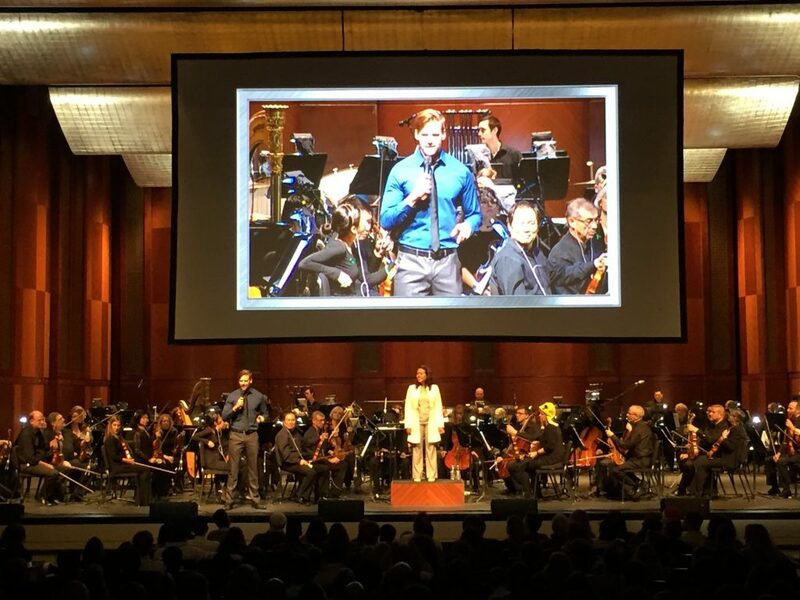 He honored his family, his friends, the games, the music, and the orchestra as he waxed poetic about his experience putting the show together, and he encouraged the audience to express their own appreciation and passion by cheering when they heard their favorite pieces of music or saw their favorite games on the screen. It was a personal touch that was not unappreciated by this fan of Pokémon and the orchestra, and as Moore exited the stage with a roar of applause, it set the tone for the entirety of the night. And what a night it was! The show included music from the very first Pokémon games (Red and Blue) all the way up to the more recent Pokémon X and Y, and it was all arranged with such consideration for the source material that just listening to the music made me want to go home and immediately purchase all of the Pokémon games. Chad Seiter, the wildly talented composer, did an absolutely incredible job taking the games’ chiptunes and evolving them into fully orchestrated masterpieces. I won’t list every single piece of music here (there were so many of the course of 2 hours! ), but I will say that my favorite sets were from Pokémon Ruby/Sapphire/Emerald, and Pokémon Black and White. I got full-body goosebumps more than once! Jeron Moore addressing the crowd on-stage – and look, there’s Pikachu! What really helped give the music an emotional center, though, were the videos playing along with the orchestra. Pokémon games take a lot of time to complete (my Pokémon Emerald cartridge accumulated 200+ hours of playtime), so I haven’t kept up to date with the franchise. Ergo, I wasn’t able to place a lot of the music from the games by ear. Thankfully, Moore worked with Video Editor Brian Costa to create music videos (for lack of a better term) that were equal parts hilarious (the audience laughed out loud several times throughout the show) and heartbreaking (tears were seen in abundance). Seeing the games on screen really helped convey the chronological growth the Pokémon games have gone through over the years as well. Not just in terms of graphics and musicality, but in terms of character development and storytelling. All of these games have such a rich heart, and that heart grows bigger and bigger with each generation. Of course, I would be horribly remiss if I didn’t commend the Fort Worth Symphony Orchestra for a truly stellar performance. Conducted by the incomparable Susie Benchasil Seiter, the FWSO knocked it out of the park over and over and over again as they brought the music bubbling to life. I have never seen an orchestra so alive while performing — the flute soloist (who was on fire that night, performing a solo in nearly every song) was practically dancing when he wasn’t playing. The energy they brought simply elevated the show that much higher. I actually had the pleasure of talking to one of the violinists after the show, and she said the energy in the orchestra was because of the energy of the audience. She said there’s nothing like playing for a crowd that roots and cheers before, during, and after a piece of music — in fact, she loved it so much that she wished more audiences were as lively as ours! That’s not to say the audience was disruptive — it was quite the contrary! 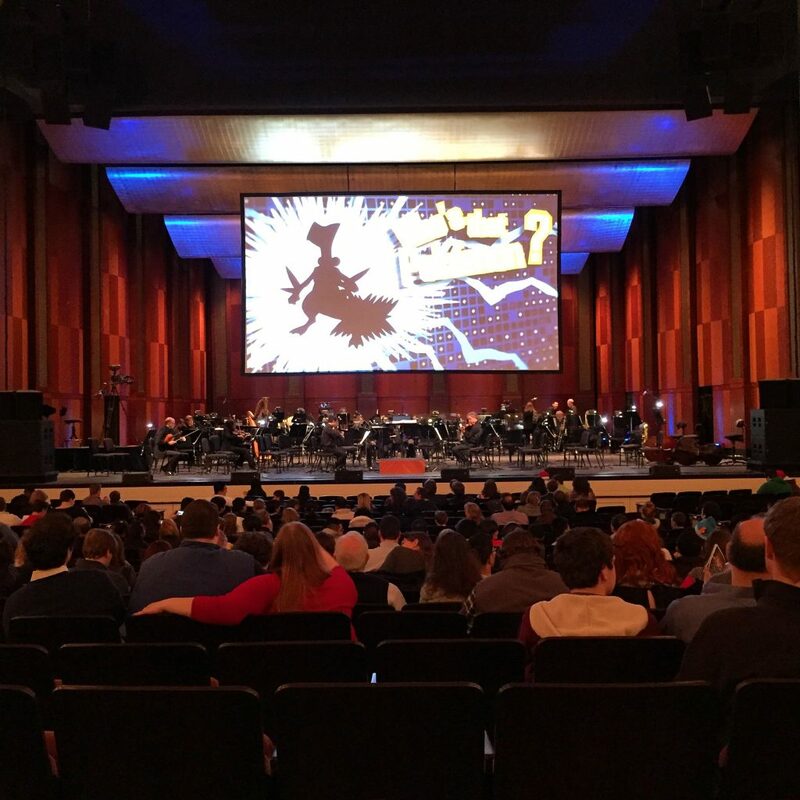 The orchestra was loud and full enough to be heard over the crowd, but even the most stoic and cynical of patrons who know nothing about Pokémon would be hard pressed not to let out a cheer or a peal of laughter during the show. Such is the caliber of Pokémon Symphonic Evolutions. It’s not just a symphony concert; it’s an experience like none other. Jeron Moore and his team have taken everything they learned from their time on Symphony of the Goddesses, and they have refined their craft, creating an event that will imprint itself in the hearts and memories of every single person in attendance — adult or child, whether you’re a Pokémon fan or not.